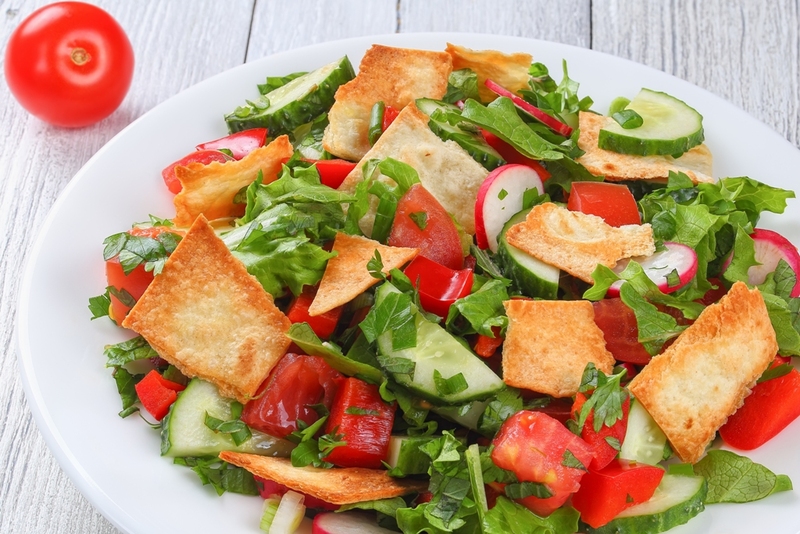 Classic Middle Eastern Fattoush is a fresh salad seasoned with ground tart sumac berry and topped with crunchy pita chips. 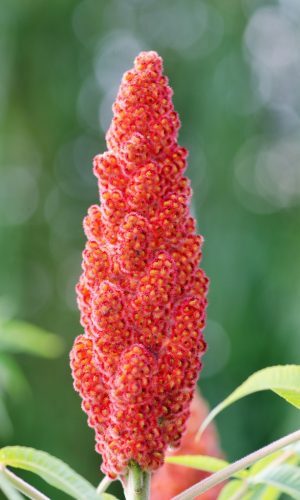 Serve it with fried chicken or use the Lebanese Baharat blend for oven baked vegetables. Alternatively, go for another Lebanese classic: Shawarma. Substitute chicken with sirloin beef. Top meat with a yogurt sauce (see Shawarma recipe for details) or tahini sauce. Substitute chicken with vegetables (see Shawarma recipe for details). In a BOWL, mix 2 tbsp lemon juice with Fattoush Spices  and salt to taste. Add chicken and 1 tbsp olive oil. Mix well until evenly coated. Cover and let marinate in the fridge for 1 to 3 hours. In a PAN, heat 1 tbsp olive oil over medium heat. Fry garlic for 1 minute. Add chicken and fry until all sides turn brown. Cut cucumber, bell pepper, tomato into 1/2-inch cubes. In a large BOWL, mix 1 tbsp lemon juice, Fattoush Spices , salt to taste, and 1 tbsp olive oil. Add all vegetables and herbs, and toss lightly. In a PAN, heat 2 tbsp olive oil over medium heat. Fry pita chips until they turn crisp. Add the chips to the salad and toss lightly. Serve chicken over salad or in pita bread with onions (optional).